6.4 What about the others? As I started working on this roundup, I realized after completing two carrier breakdowns that nothing would trump the GSIII on any of the Big Four (or U.S. Cellular, who is no part of this). Ergo, I decided to throw this at the top. 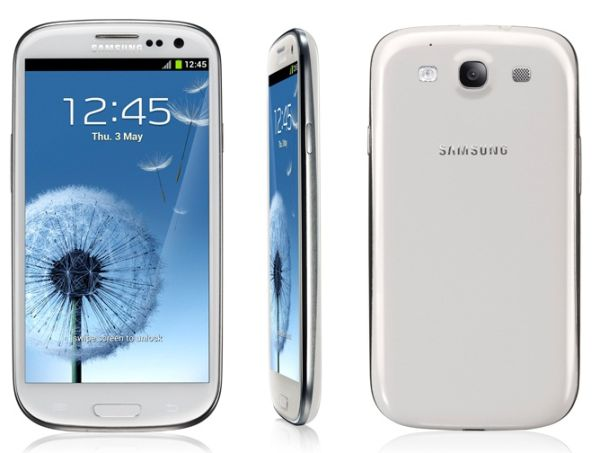 If you have $200-300 to spend on a new smartphone and want the best, get the Galaxy S III regardless of which carrier you're on. 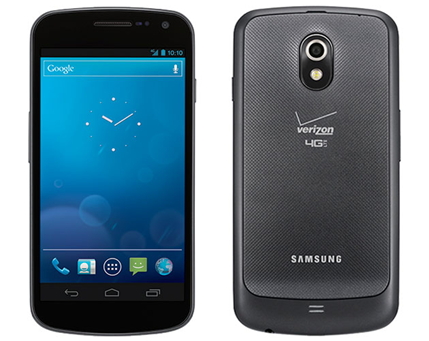 The one exception to "best" is Verizon's GSIII - it does have a locked bootloader, which makes custom ROMs more difficult than other the other carriers' version. Still, spec for spec, it's unbeatable on Big Red. This is just something to consider. If, however, you want to spend half of that (or less), we've given some great alternatives down below. 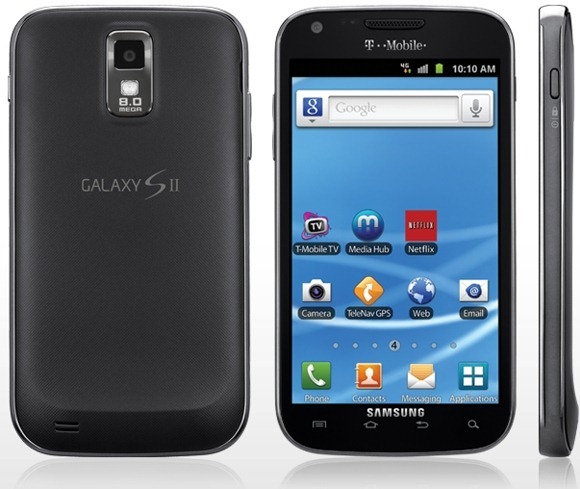 Since the Galaxy S III is hands-down the best option across all carriers, we've listed below the "best on a budget" options for each carrier. With Big Red's ultra-fast and nearly-nationwide 4G LTE network, it's a good choice for getting things done on-the-go. And with new Share Everything plans, tethering doesn't cost anything extra - just don't go over your monthly data cap! I bet you were expecting something else here, weren't you? Fact is, with the recent price drops and the fact that you can get the GNex super-cheap from Amazon Wireless or Wirefly, there's no contest. Since it's a Nexus, it has an unlockable bootloader and a host of good ROMs to choose from (should you so choose to go that route). Even if left completely stock, it offers an unmatched vanilla Ice Cream Sandwich experience and should even get Jelly Bean... eventually. As the second largest provider of 4G LTE and the single largest carrier offering HSPA+, AT&T is also a good choice in terms of carrier coverage. Plus, it offers a wide variety of plans and package styles to choose from. And choice is good. Another surprising answer, no? The HTC One X is an absolute powerhouse device, with fantastic build quality and an amazing display to boot. And, thanks to its recently-dropped price of $99, it's a steal. Nationwide coverage, HSPA+ 42, a decent selection of devices, and comparable plans at a more affordable prices than the competition. That pretty much sums up T-Mobile. If you have good T-Mo coverage in your area, there's no reason not to consider the big pink underdog as your carrier. I know, I know. It's almost a year old, but after looking through the rest of the devices, there really isn't a better option. This was, after all, one of the best phones of yesteryear. Ah, The Now Network. The only carrier left with "truly unlimited data." Sprint is trying to make its name in the LTE market, so that counts for something, too. 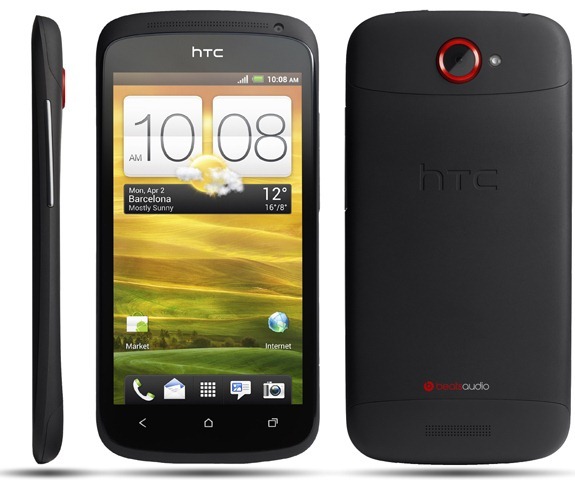 It really came down to this and the Epic 4G Touch, and at the end of the day, we had to go with the Nexus. Why? 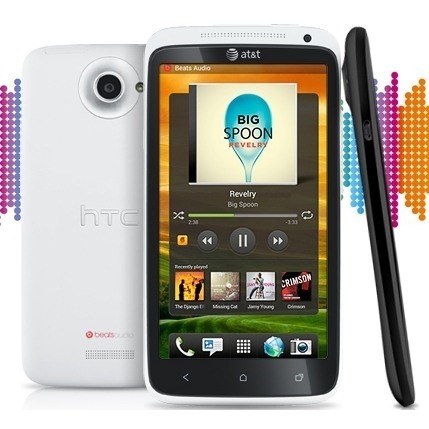 It has LTE (for whenever Sprint activates it in your areas), stock Android, and it's a Nexus. Despite being nearly a year old (the phone itself, not the Sprint variant), it's also still quite relevant since it's the most recent Nexus phone. We understand that post-paid carriers aren't the best choice for everyone. Thus, we've done most of the legwork for you in the pre-paid scene, too. This section isn't just about phones, though; it's also about the best bang for your buck where plans and the like are concerned. When I think of pre-paid carriers, the first one that comes to mind is Virgin Mobile. Perhaps because it's a Sprint subsidiary, or maybe because it ends up with some of the best phones the pre-paid world has to offer. Whatever the reason, Virgin Mobile is definitely a top consideration where pay-as-you-go carriers are concerned. 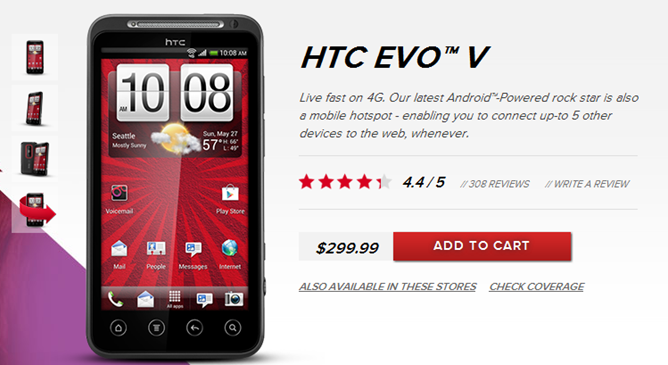 The EVO V is basically a 3D-less EVO 3D. While that may not sound all that impressive, when you throw its off-contract $300 price, 1.2GHz dual-core processor, 1GB of RAM and Android 4.0 into the mix, paired with unlimited data plans starting at $35, this begins to sound like one tempting deal. StrightTalk is fairly new to the carrier game, but it offers some of the best deals on the market. Let me say one thing outright, though: the selection of Android phones on ST is pure garbage. What makes it so appealing, however, is the plans and the fact it will work with any AT&T or T-Mobile-compatible GSM phone. Here's the skinny: you can buy a SIM card for $15 from StraightTalk and drop it into your compatible GSM phone and away you go. 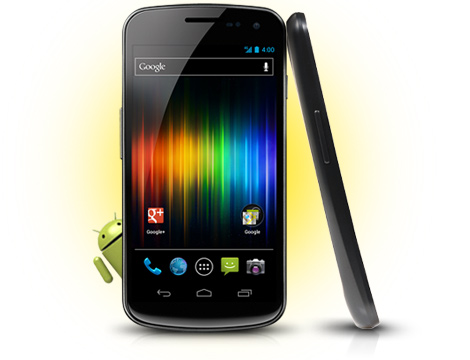 This means that you can pick up a GSM Galaxy Nexus from the Play Store for $350 and drop a StraightTalk SIM in it. Boom. The best part: they have an unlimited everything plan for just $45/month. Are you going to get LTE speeds? No, but you won't spend $100+ per month on your phone bill, either, so there's that. Much like StraightTalk, T-Mobile pre-paid doesn't offer a whole lot of nice options in the phone department. What it does offer, however, are some good plans with reasonable rates. Pair that with the fact that you can use a GSM phone like the Galaxy Nexus on T-Mo, and you have yet another winning option for a pre-paid carrier. We combed through most of the major pre-paid carriers out there - Boost, MetroPCS, Cricket, etc. - and the truth is, they don't really offer anything compelling. If the post-paid guys just aren't doing it for you, Virgin Mobile, T-Mobile pre-paid, or StraightTalk really are the way to go.